Are you a builder? Do you own a construction agency? Is your organization welcoming agencies and builders to quote on a construction project? If you belongs to this profession and need help regarding project quoting, quotation letter writing, then download the below documents for instant help. 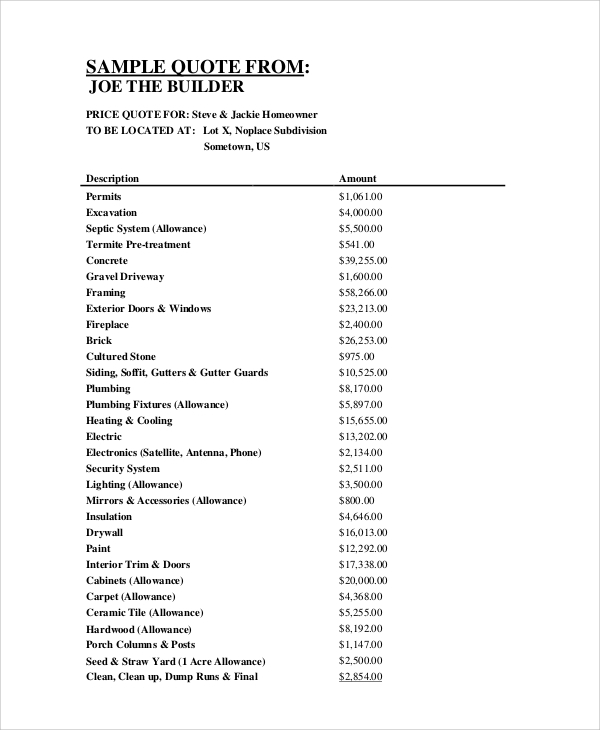 Check our price Quotation Sample, builder’s quotation letter sample etc and download them for free. Quotation request is a process of inviting suppliers to bid on a product or service. Download this PDF document and get access to sample quotation request templates. 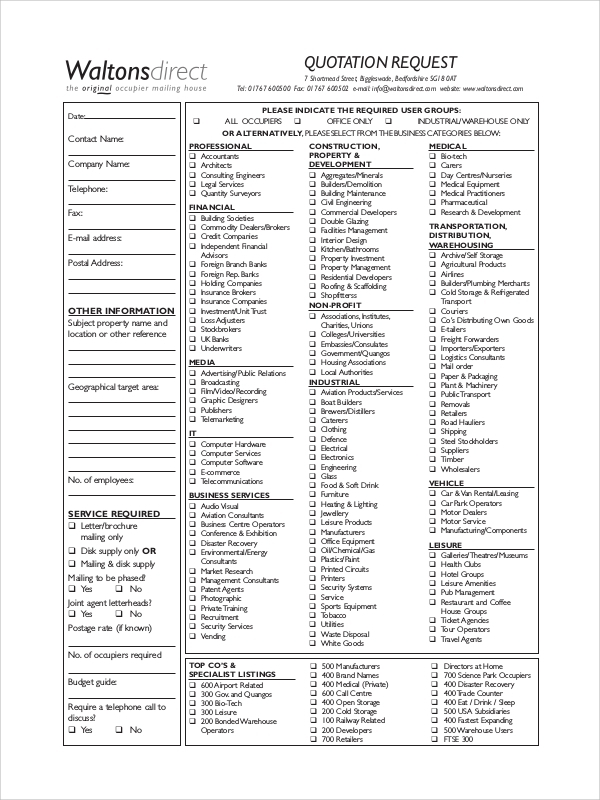 Prepare a custom quotation request form to gather detailed requirements for quoting. If you are going to quote for a project, then this sample quotation might be a helpful resource for you. Download this PDF document and get help in preparing custom quotation to quote the best price including all services and features effectively. Also, check the “House Details” section for a brief site analysis. This PDF is helpful for both the government and private bodies. If you have invited builders/building companies to quote prices for the construction, then you need to send personal letters to inform them about the status. 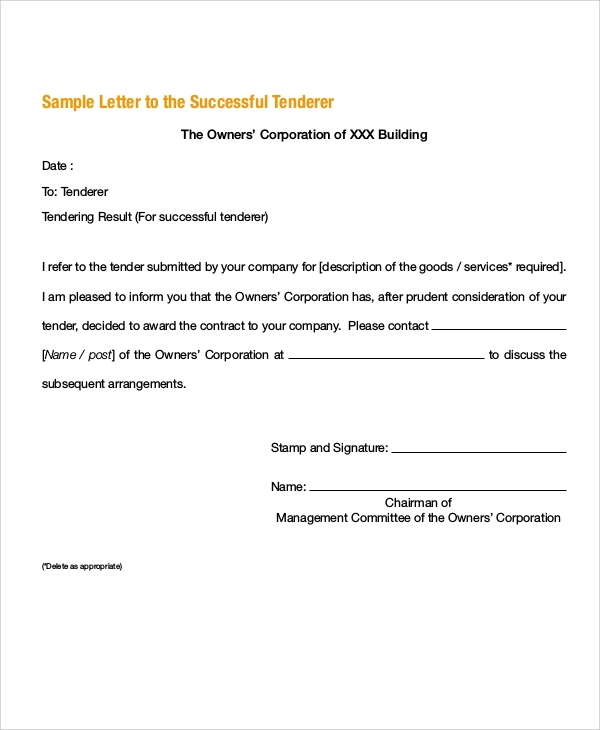 Download the document and check both successful and unsuccessful tender letter samples. Construction is not the cheapest work, it needs huge investments. Also, it needs quality work for longevity, safety, and security. So, it is necessary for both the individuals and organizations to check pricing of multiple building agencies and builders before finalizing a deal. For this purpose, organizations and individuals both contact building agencies and freelance builders and ask for a quotation. They provide necessary project details and companies quote their prices. It helps them to analyze and hire the best company who match their needs within the budget without compromising on quality. Builders, contractors, and building agencies can use our sample documents for brief analysis and make a custom quotation. Also, they can prepare a custom request for quotation template to gather project details. 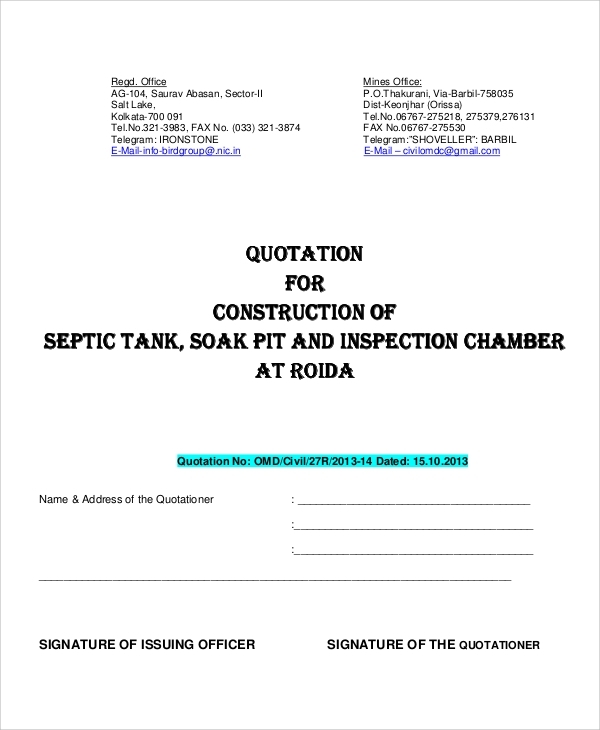 Our sample quotation letters also act as helpful resources for organizations who have invited builders to quote on their site project. They can use it for a professional project discussion and to reveal a tender result. Our sample documents are free to download and support all web and PDF player software. Also, they provide high-quality visibility to Windows and MAC users. Use the above documents as a reference and let them help you in tasting success. 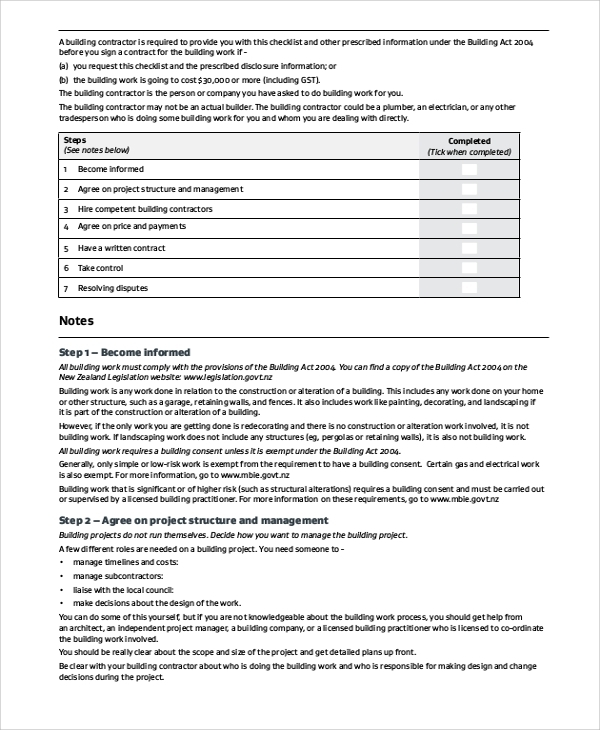 Our builder’s quotation samples are easy to read and understand. Download them for instant access and start crawling PDF documents. Also, check our Price Quotation Samples. We love to interact with our customers. Do leave a comment below and let us discuss on this topic.